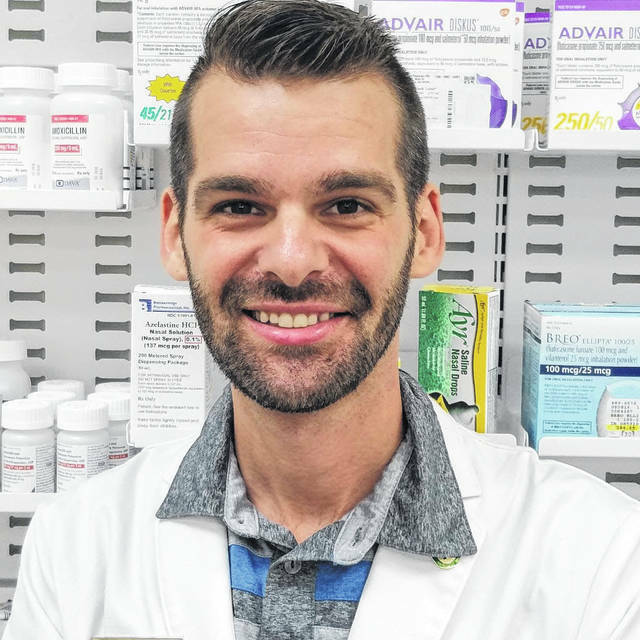 LOGAN — R. Logan Yoho, Director of Pharmacy at Hopewell Health Centers, has completed the Apexus Advanced 340B Operations Certificate Program and is now recognized as a 340B Apexus Certified Expert (ACE) in the 340B Drug Pricing Program. Yoho received his Doctor of Pharmacy (PharmD) degree from Ohio Northern University in 2010. He is a graduate of Warren High School. He currently resides in Pomeroy, Ohio. The 340B Program is a federal drug discount program that permits eligible hospitals, community health centers, and clinics to purchase outpatient prescription drugs at significantly reduced discounts as a way to extend their scarce federal resources within their communities. The program is critical to generating savings for America’s safety-net hospitals and clinics to provide programs and services for poor and underserved patients. The Apexus Advanced 340B Operations Certificate Program offers specialized training for 340B eligible hospitals, community health centers, and other stakeholders, and was designed to address the 340B Program’s most complex situations for all 340B participants. The award winning Apexus education program is a 24-module online training course. The curriculum provides an in-depth review of policy around 340B requirements and guidance on how to apply that policy in support of 340B operational integrity. The education series evaluates decision points, potential compliance challenges, and audit areas of focus for each topic. The modules also provide real case situations that teach learners how to turn 340B policy into practice. Learners who successfully complete the program receive a certificate and are distinguished as experts in the 340B Program. This is the highest standard of 340B learning available. A publicly available certificate-holder lookup tool is available to validate active 340B ACE graduates. The Advanced 340B Operations Certificate Program is a separate Apexus offering that is not a part of the 340B Prime Vendor Program or otherwise associated with the Prime Vendor Agreement between HRSA and Apexus. Apexus is a national leader in providing innovative solutions for the nation’s safety net community. We collaborate with key industry stakeholders and identify marketplace opportunities in contracting to improve medication access, compliance, and education. These infrastructures enable health care providers to effectively serve their patients across the continuum of care. More information about the Apexus Advanced 340B Operations Certificate Program is accessible at www.apexus.com/certificate. HHC is a Federally Qualified Health Center located in several communities in Southeast Ohio. Its mission is provide access to affordable, high quality, integrated health care for all. HHC offers several healthcare services including primary care, behavioral health, dental, nutrition, pharmacy, and chemical dependency treatment.